Institute of Fruit Tree and Tea Science, NARO (NIFTS) conducts basic and innovative research in fruit tree and tea science in order to respond to the needs of consumers, producers and people involved in related industries, and contributes to the advancement of fruit and tea production and the enrichment of dietary life in Japan. A technology to accelerate the breeding of seedless citrus has been developed. Male sterility, which is determined by the number of pollen grains per anther and apparent pollen fertility, is considered to be an important cause of seedlessness in progeny of Satsuma mandarin. 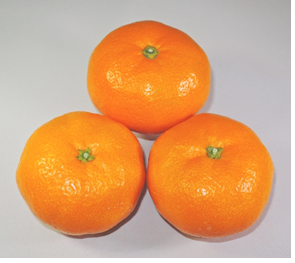 Using crosses of Satsuma mandarin progeny, a DNA marker that can distinguish the number of pollen grains per anther and apparent pollen fertility has been identified. 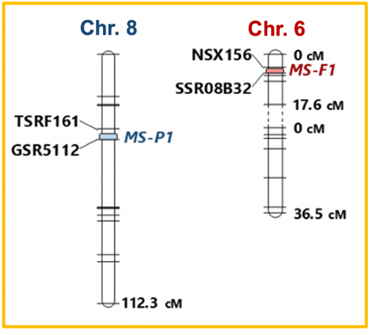 This DNA marker can be effectively used to select citrus plants with less amount pollen grains and low pollen ability even at the seedling stage. This result will contribute in understanding the molecular mechanism of male sterility in citrus and the breeding of seedless citrus cultivars. Read more. The National Agriculture and Food Research Organization, in collaboration with the National Institute of Genetics, decoded the entire genome sequence of Satsuma mandarin (Miyagawa Wase). About 29,000 genes including 91 genes involved in coloring and fruit-setting of citrus fruits were deduced. The genome sequence information will facilitate for improving the efficiency in the citrus breeding program, productivity, and quality of citrus fruits. Read more. 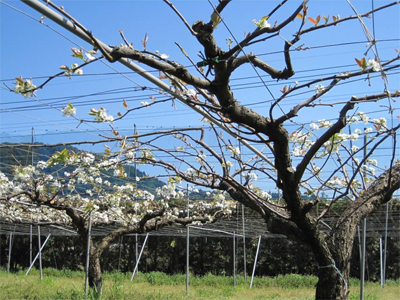 The cause of dead flower buds frequently observed in the Japanese pear cultivar 'Kosui' (Pyrus pyrifolia) grown under open field conditions in the southwestern regions of Japan was elucidated. During fall-winter months with relatively warm temperature, the freezing tolerance of flower buds showed insufficient freezing tolerance resulting in frost damage due to the coldness of winter. Application of fertilizer and compost in autumn and winter reduced the freezing tolerance and increased the number of dead flower buds. By changing the time of applying fertilizer and compost in the spring, it was revealed that the death rate of flower bud can be drastically reduced. Read more. 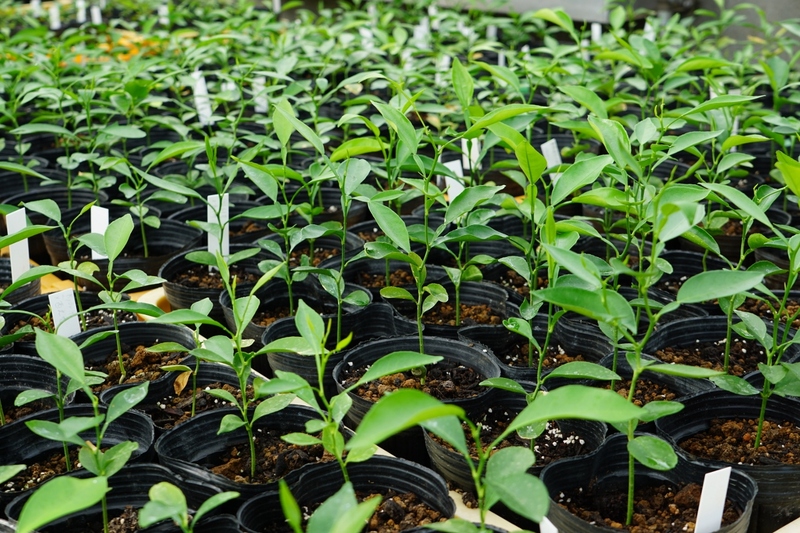 A joint research project of NIFTS with the University of Tokyo and the National Institute of Genetics has revealed that genomic selection, which predicts traits based on a large amount of DNA marker genotype data, would be effective to predict fruit traits at the young seedling stage of citrus individuals. 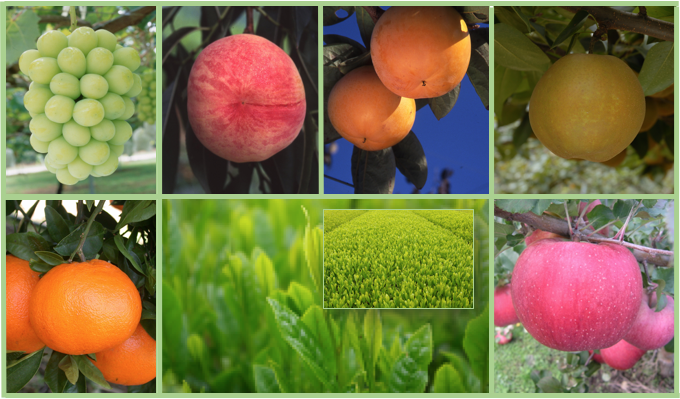 The application of genomic selection will facilitate accurate selection of important traits such as fruit weight, fruit color, peelability etc. at the seedling stage without the evaluation of fruit itself. Read more. 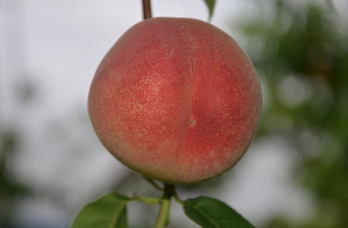 An early maturing peach cultivar 'Sakuhime', as been developed, which flowers normally even when exposed to low temperature at about half the time required for major Japanese peach cultivars, leading to stable peach production even if the winter temperature continues to rise due to global warming. This new cultivar also produces fruits that ripen about 5 days earlier and fruit quality that is almost the same as the major early maturing cultivar 'Hikawahakuho'. Read more.